A Hot Tub is a luxury you add to your home and naturally enjoy. It provides a great place to relax and indulge yourself. In order to experience all benefits of your hot tub, it is essential that maintenance is not overlooked. Systematic hot tub maintenance ensures that the Spa is prepared for use at all times, as well as guarantees its cleanness and hygiene. Spa maintenance also includes monitoring of the chemical levels on a regular basis. 5. Use a cover to put over the hot tub when it is not in use. Remember that whenever you use the Hot Tub or Spa, scum, skin cells, oils and other deposits multiply not only on the exterior of the tub, but also on the mechanical parts that water touches. Clean surfaces that at first let bacteria slide off, now collect the bacteria creating a place for them to grow and contaminate water in the hot tub. Warm and dark plumbing inside the hot tub provides a perfect ground for microorganisms to reproduce, that might cause all kinds of infections in the future. 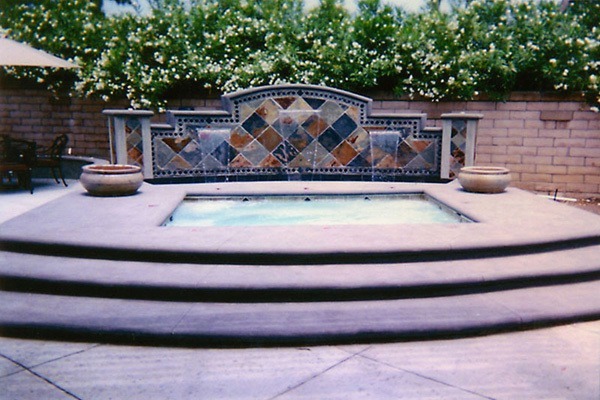 Do not neglect the maintenance of your Hot Tub and Spa and it will serve you for many years to come!